As part of the exhibition The Midnight Sun Camera Obscura Project, Canadian artist Dianne Bos is building Star Shed, a multi-aperture camera obscura chamber, in front of the McMaster Museum of Art. Camera obscura means ‘dark room’ in Latin. A forerunner of the modern camera, it is a darkened box with an aperture for projecting the image of an external object on to an inner screen. Bos drilled holes, patterned according to the stars as they would now be seen in the southern skies, into the shed wall. Upon looking into the Star Shed doors, we do not see the constellations, but rather a kaleidoscopic field of the campus landscape, projected upside-down and in reverse. Dianne Bos was born in Hamilton, Ontario, received her B.F.A. from Mount Allison University in Sackville, New Brunswick. Bos is represented by Newzones Gallery of Contemporary Art, Calgary; Kostuik Gallery, Vancouver; and Beaux Arts des Ameriques, Montreal. For more information see www.diannebos.ca. Bos’ public art commissions include a large light box installation at Toronto’s VU condominiums entitled ‘Palimpsest’ and the banner design for the city of Calgary’s bridges. Many of Bos’s recent exhibitions feature handmade cameras, walk-in light installations, and sound pieces. 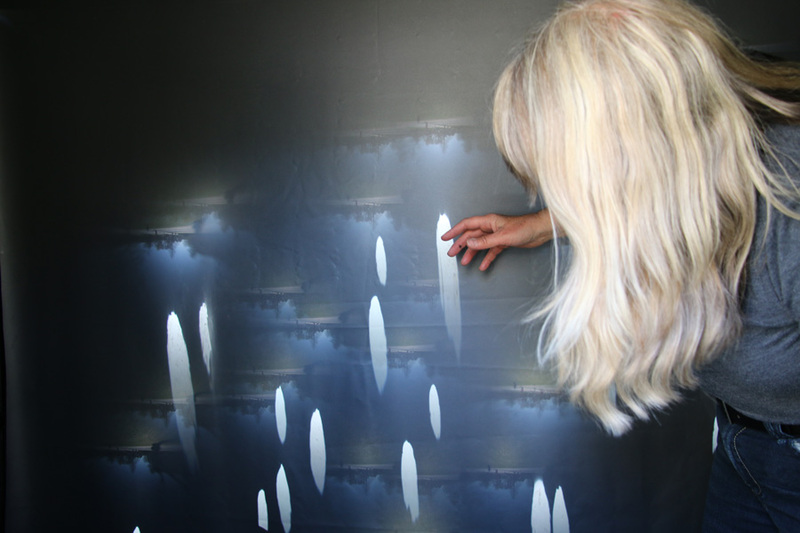 In 2015 Bos also created a site-specific installation for Dawson City, Yukon, a work that has continued to be shown as part of the ‘Midnight Sun Camera Obscura’ traveling exhibition. In 2016 one of Bos’ Galaxy Projection devices was part of the exhibition ‘Seeing’ at the Science Gallery, Trinity College, Dublin and is now traveling in the USA. These tools and devices formulate and extend her investigations of journeying, time, and the science of light. Dianne Bos has been the recipient of many awards and grants including the Canada Council for the Arts and the Alberta Foundation for the Arts Grants. Bos has also been nominated twice for the Scotia Bank Photography Award.